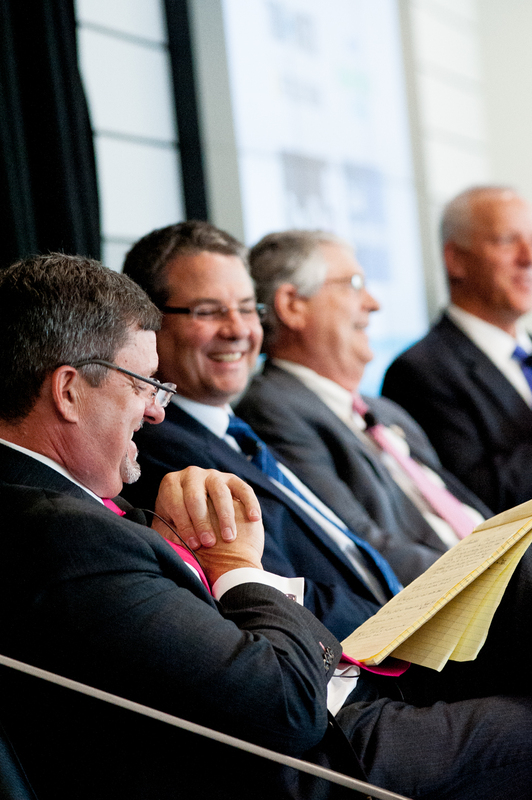 Agenda is below — click live links to view presentations. 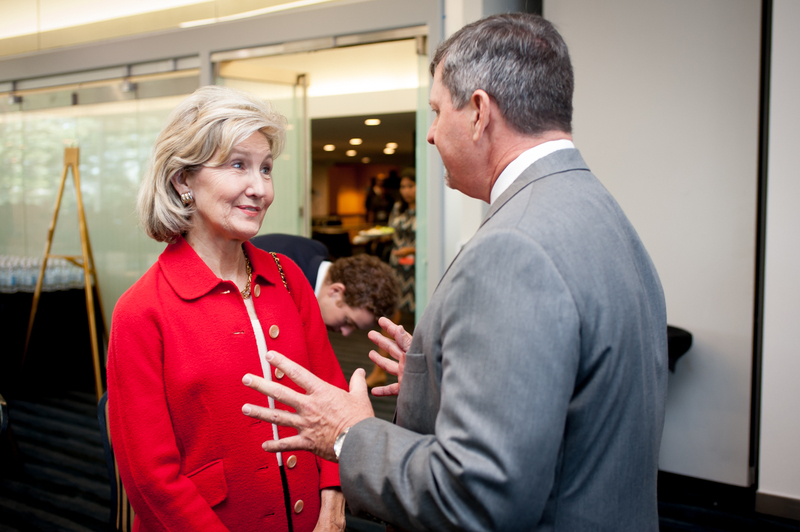 Scroll down to view conference photos! 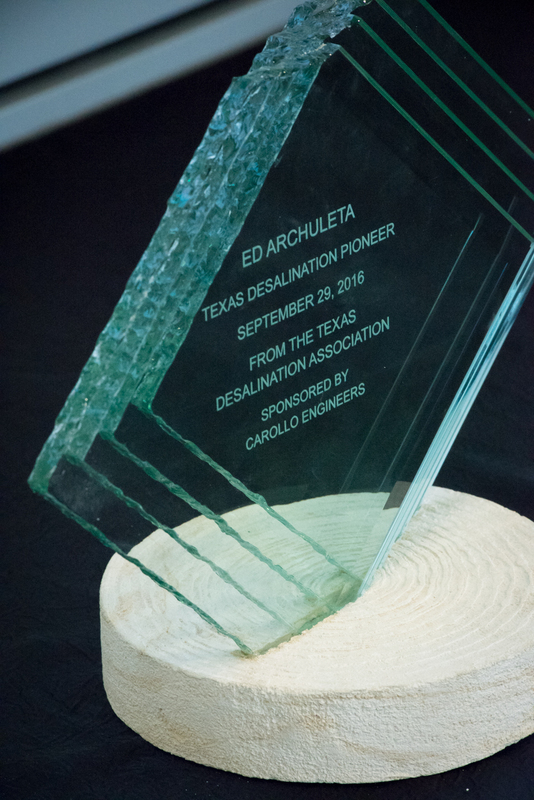 Presentation of the The Texas Desalination Pioneer Award to Ed Archuleta, accepted by Thomas A. Davis, Phd, UTEP and sponsored by Carollo Engineers. 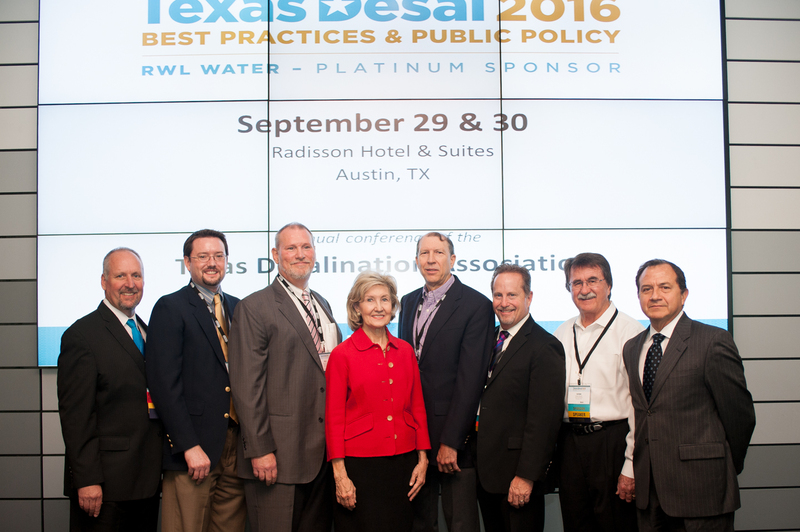 TX Desal Board members pose with keynote speaker Honorable Kay Bailey Hutchison. 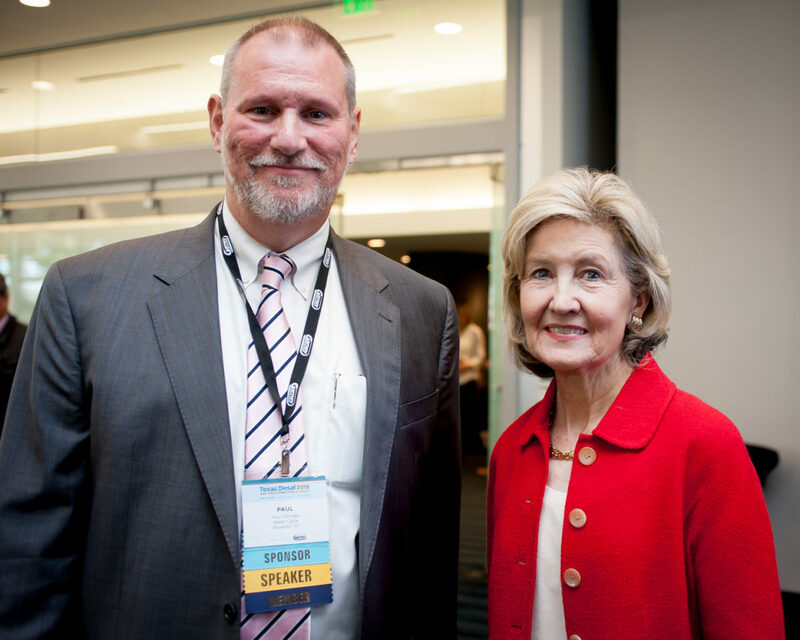 TX Desal President welcomes the Honorable Kay Bailey Hutchison before her keynote address. 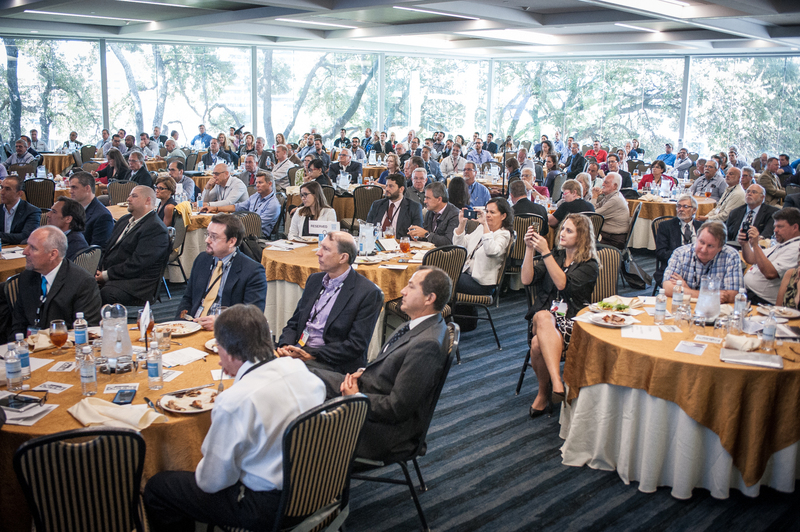 A full crowd listens in during the keynote address luncheon. 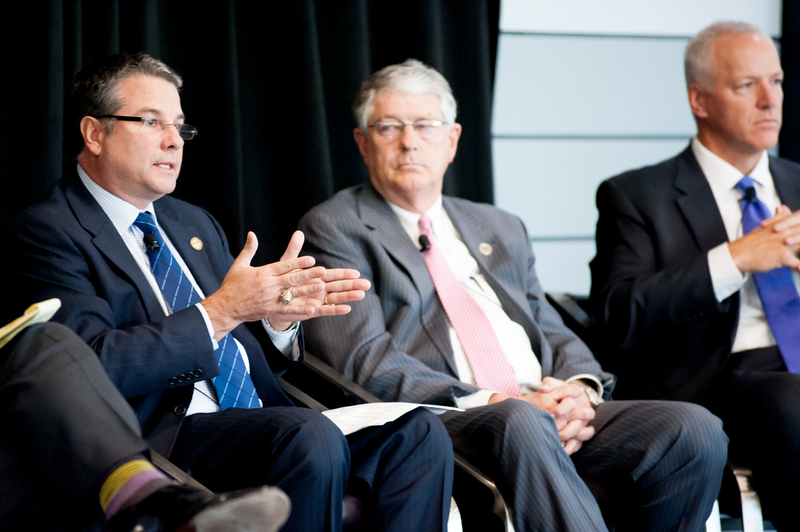 State Rep. Todd Hunter emphasizes the importance of promoting desal technology in Texas. 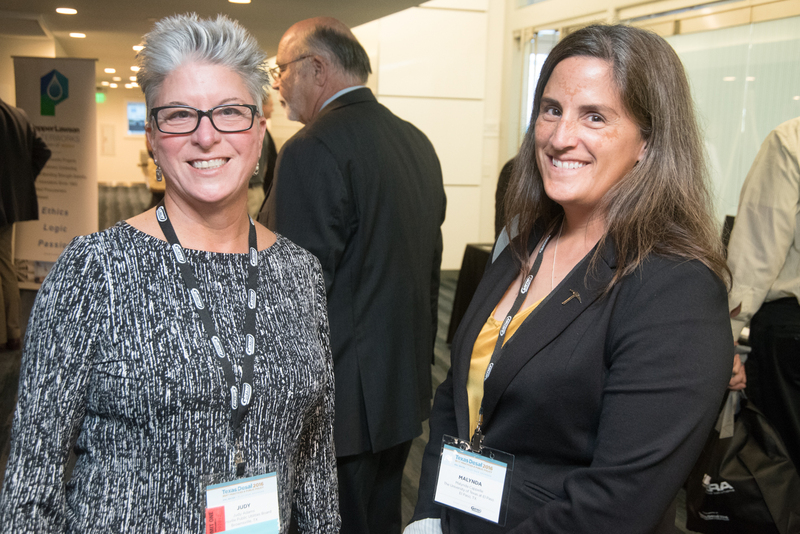 Brownsville PUB Manager Judy Adams and scholarship recipient Malynda Cappelle. 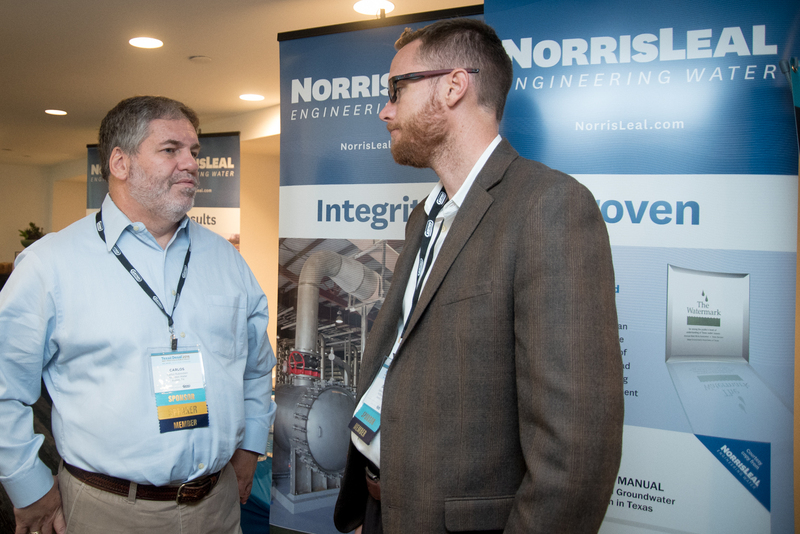 TX Desal Executive Director, Kyle Frazier, catches up with KBH. 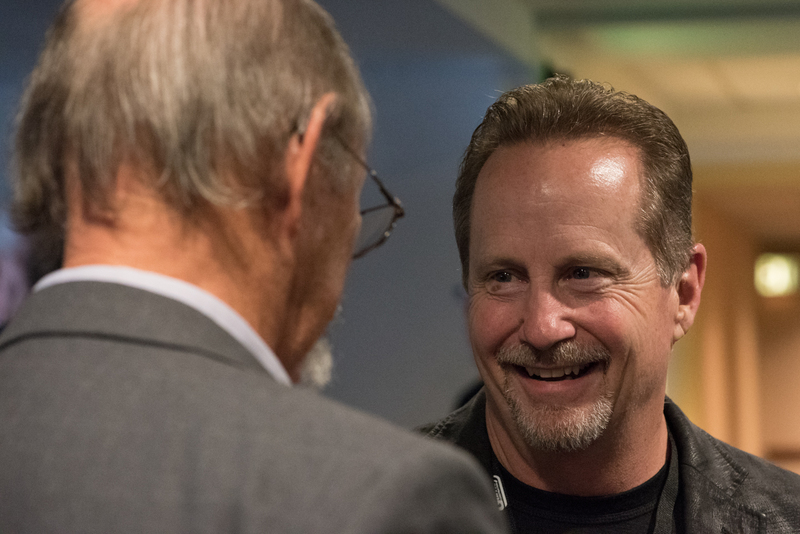 TX Desal board member Bill Norris chats during a networking break. 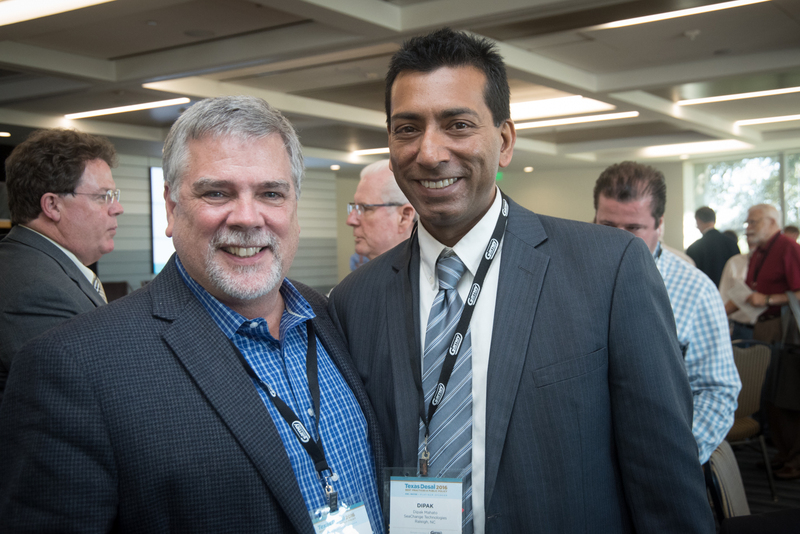 Tom Pankratz & Dipak Mahato shared their innovative technology ideas on one of the many panels. 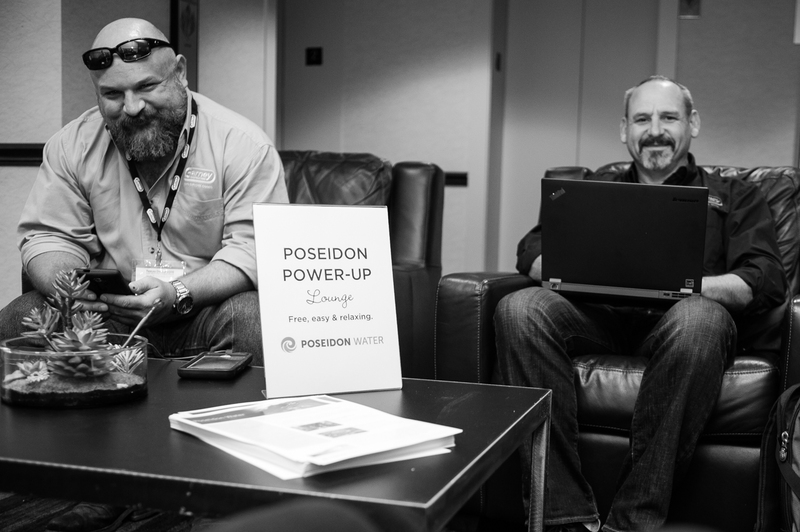 The Poseidon Power-up lounge was a hit! 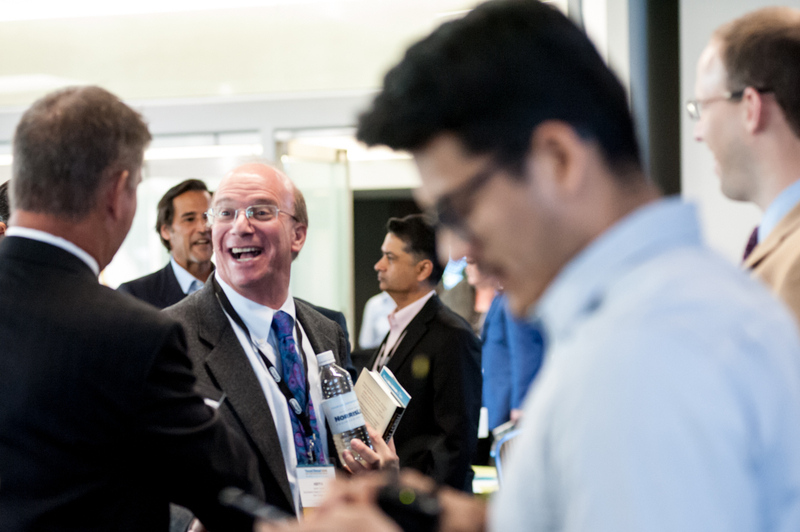 Carlos Rubinstein chats during a networking break. 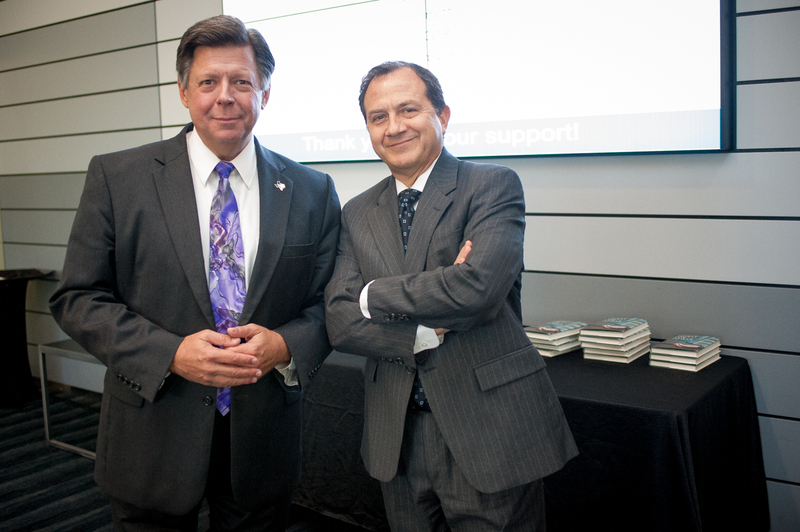 Bob Paulison & Jorge Arroyo spoke about marine desal for Texas. 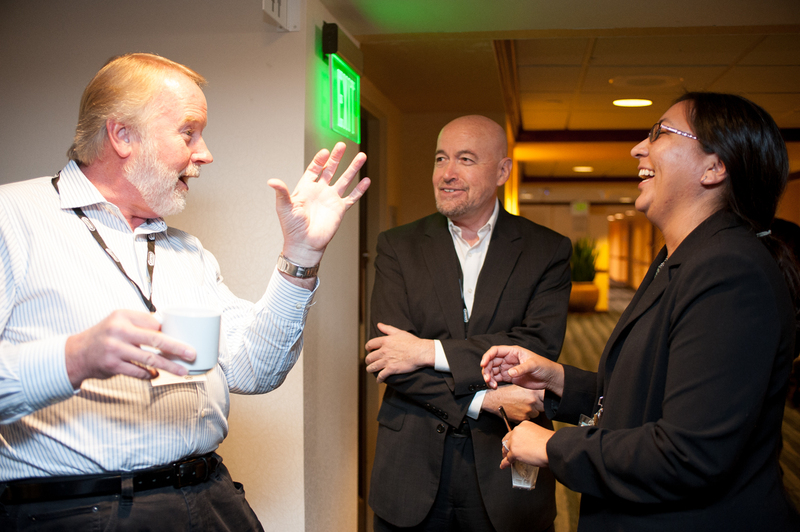 Yulianna Porras-Mendoza listens to a funny story during one of the breaks. Keith Solar meets attendees after his presentation. 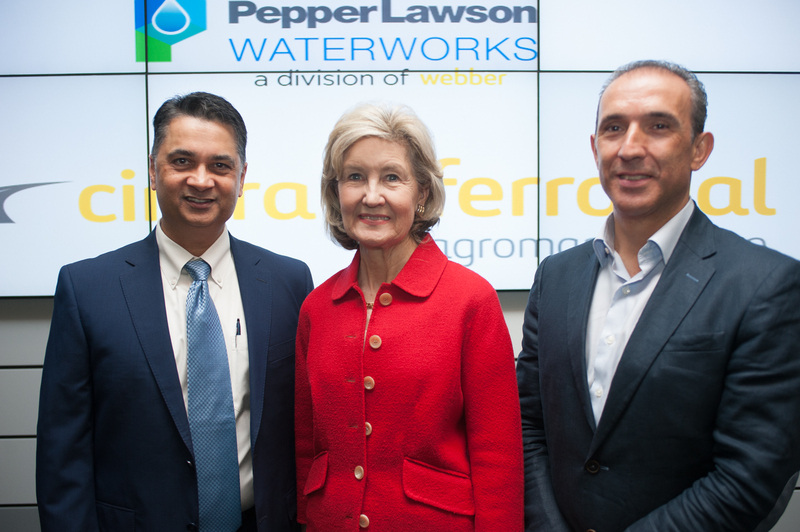 Keynote sponsors, Ferrovial, pose with KBH. 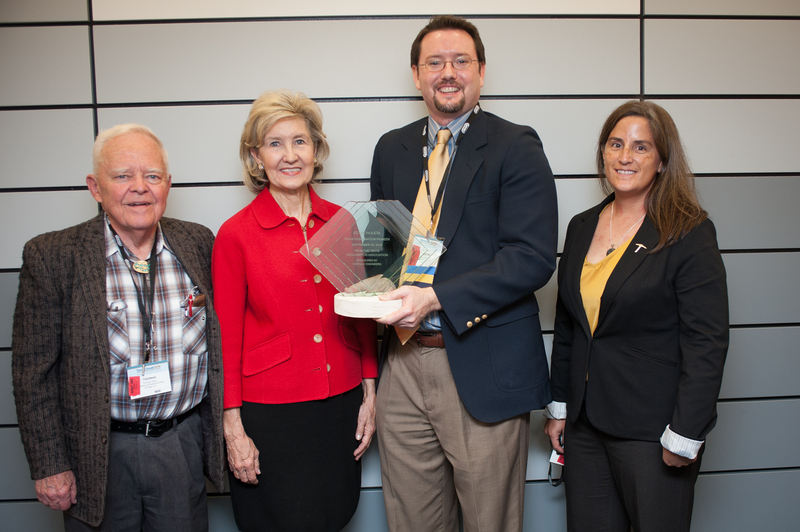 Dr. Tom Davis, KBH, Justin Sutherland and Malynda Cappelle pose with the Ed Archuleta Pioneer Award. 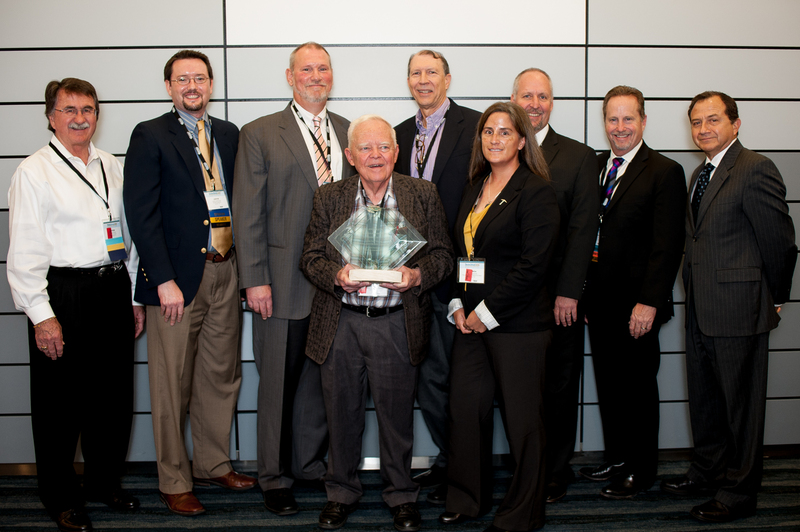 TX Desal board, Dr. Davis and Malynda C. were proud to honor Ed Archuleta. 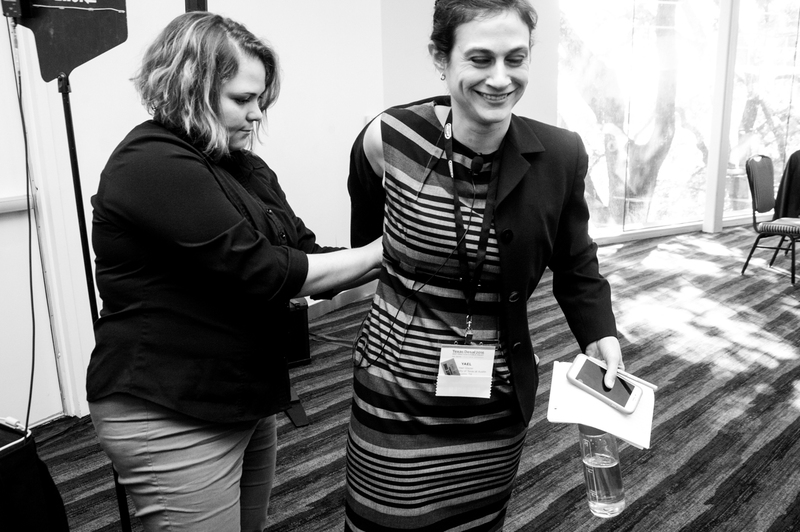 Yael Glazer gets prepped with a wireless mic for her presentation. 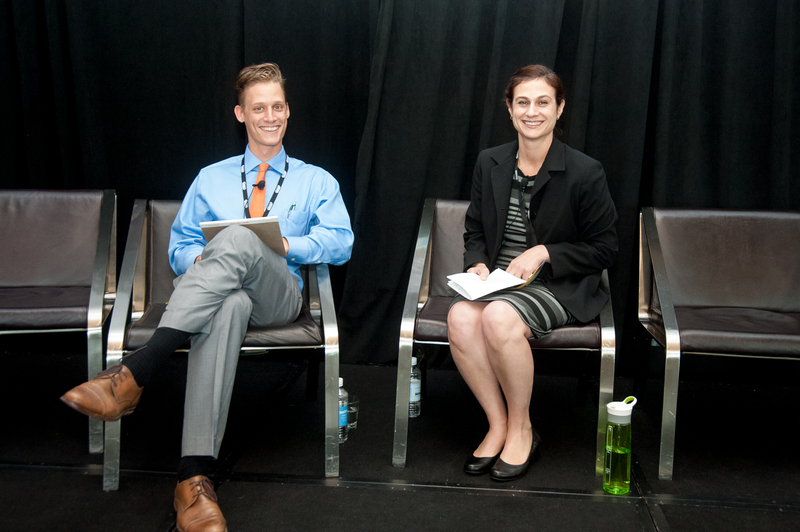 Nathaniel van Oort and Yael Glazer spoke about brackish desal in TX. 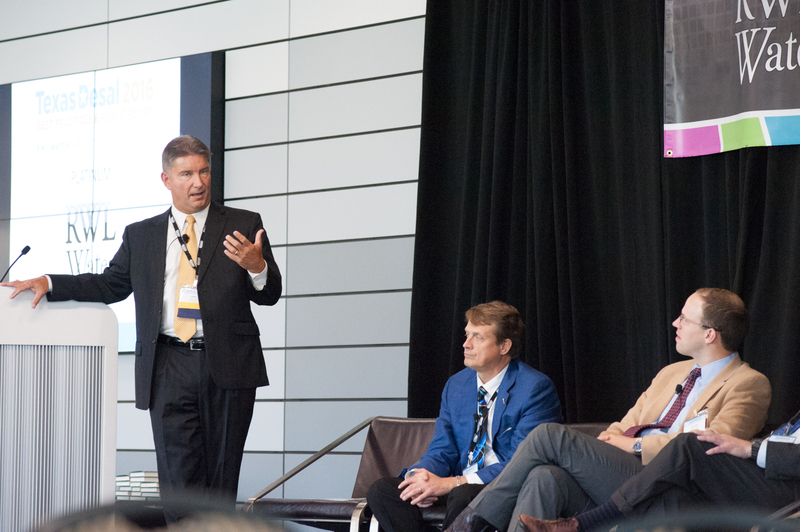 Gene Fisseler addresses the panel of experts. 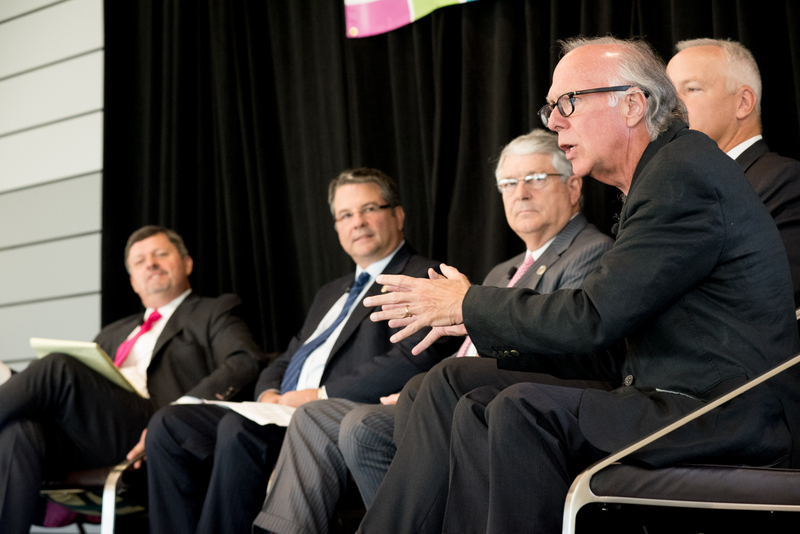 Senator Charles Perry makes a point during the Legislative Champion luncheon. 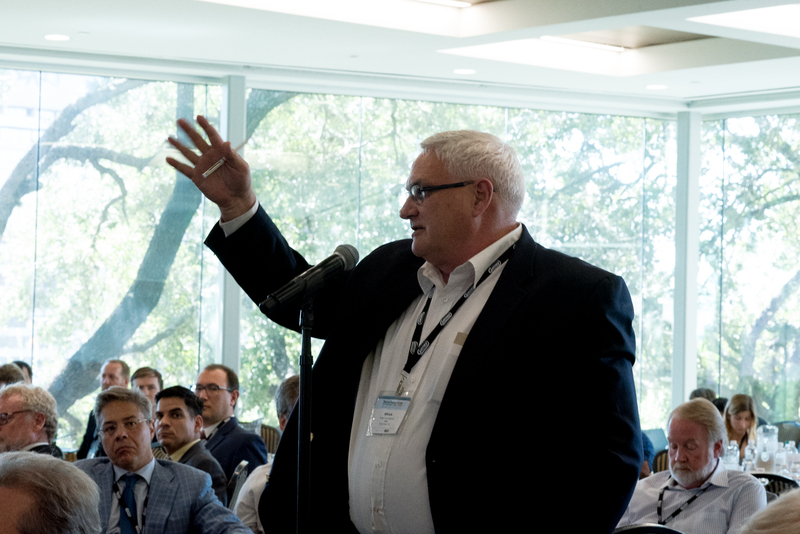 Audience members asked questions during most of the sessions. 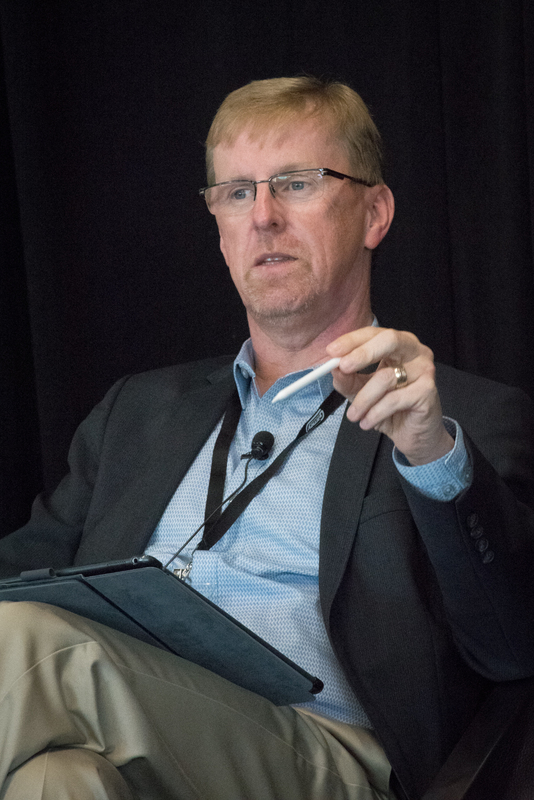 John Tonner serves as co-moderator of the innovations panel. Kyle and the legislators prepare for their discussion. 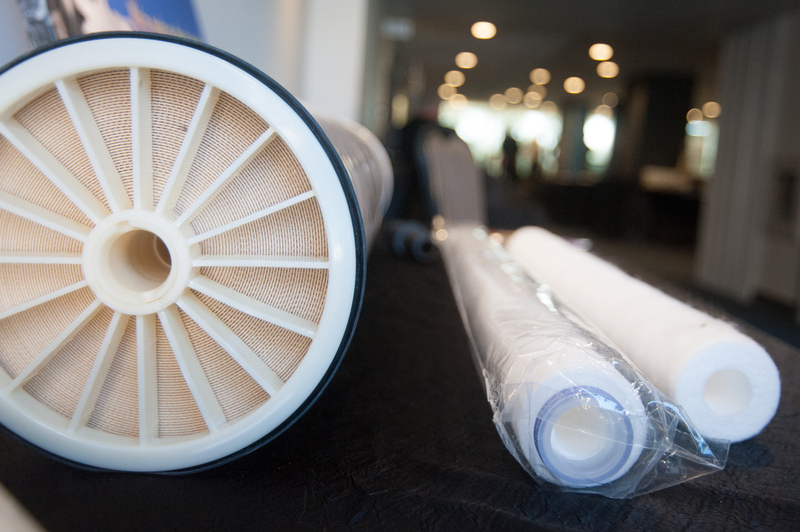 The base of the award resembles an RO membrane. 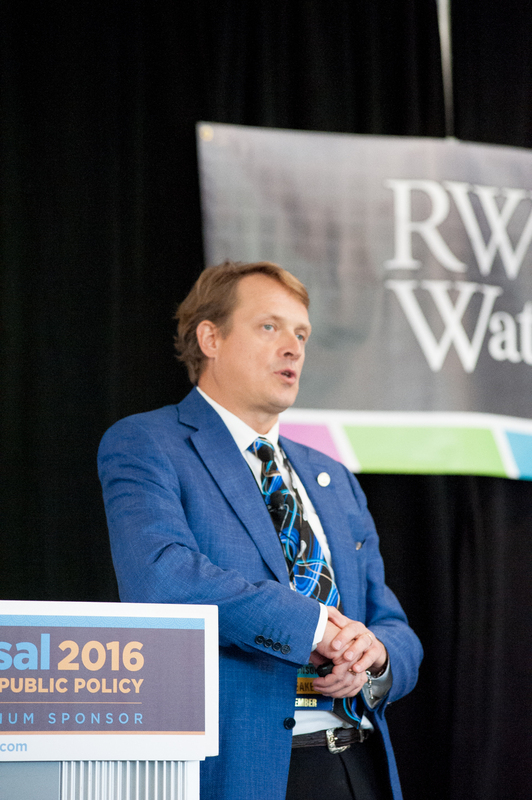 Stefan Schuster discusses marine seawater permitting and more. 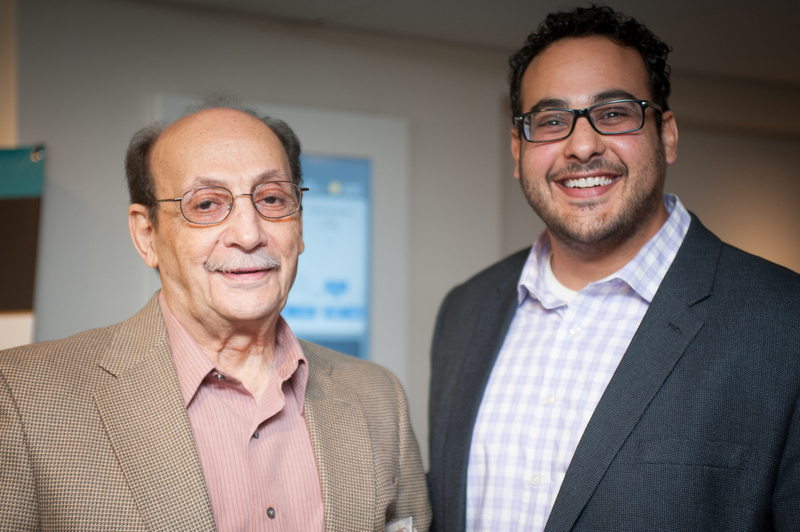 Maher Kelada poses with his son Daniel. 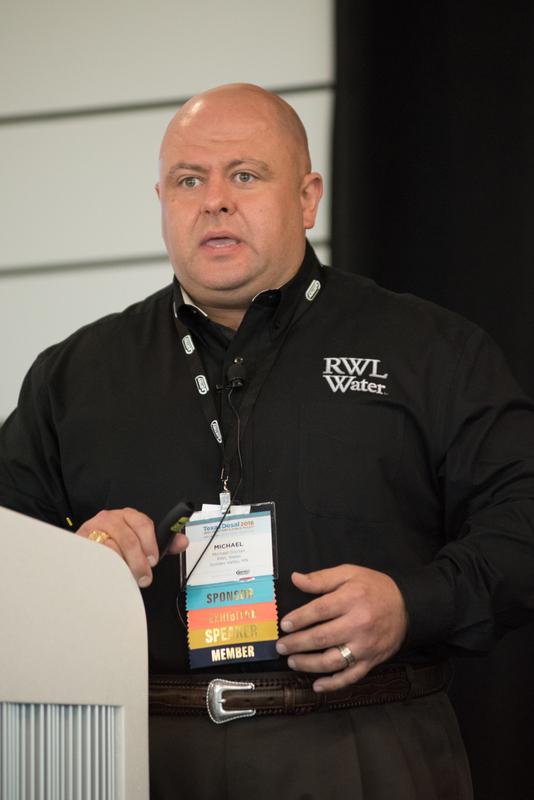 Michael Gisclair with RWL discusses a desal case study in Chile.